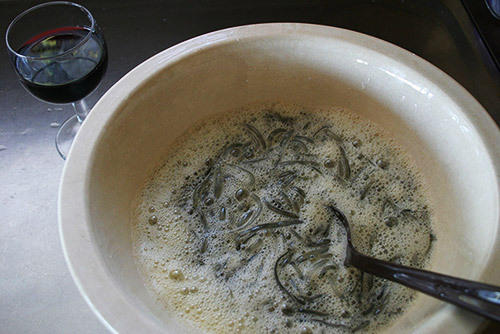 WHITEBAIT, that distinctive New Zealand delicacy which measures 4.5 to 5.5cm in length, is eaten whole. It is not related to the European whitebait, and is caught during spring in the tidal river estuaries as the fish move upstream from the sea. “Whitebaiting” is mostly recreational fishing, however, there is commercial fishing on the West Coast of the South Island. Fishing for whitebait is controlled by the Whitebait Fishing Regulations. The juvenile smelt, an unrelated species that is fished in the northern half of the North Island is often sold as “Waikato whitebait”. Whitebait has a very delicate flavour, and for this reason should be cooked with care. Cooking needs to be brief and simple. We trust that you’ll enjoy these whitebait recipes.